Can be ordered with either turned profile legs "above" or square as below. 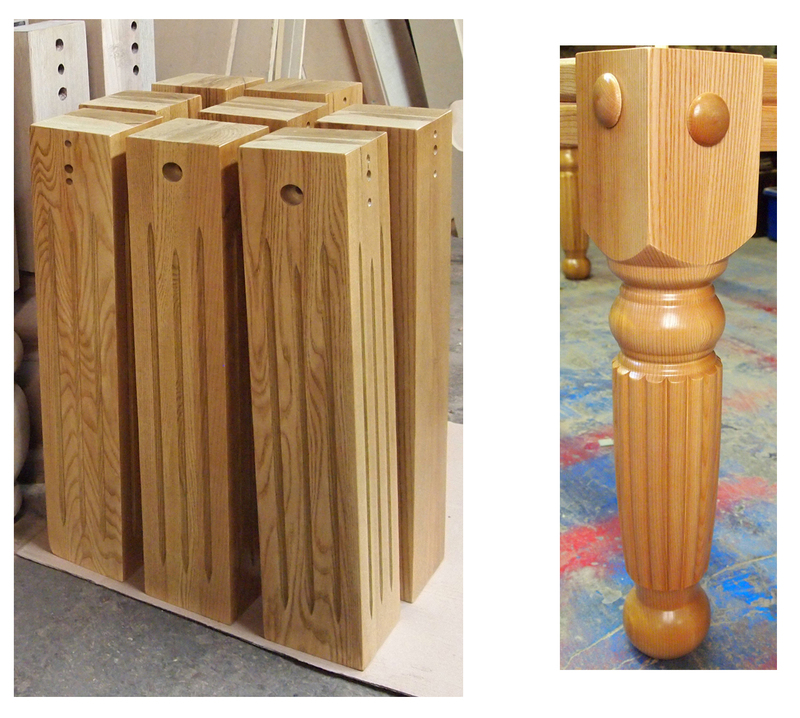 Finished in any colour or stain combination. Example "half natural oak, half solid colour". Supplied with 2 - 3 piece matching veneer top. 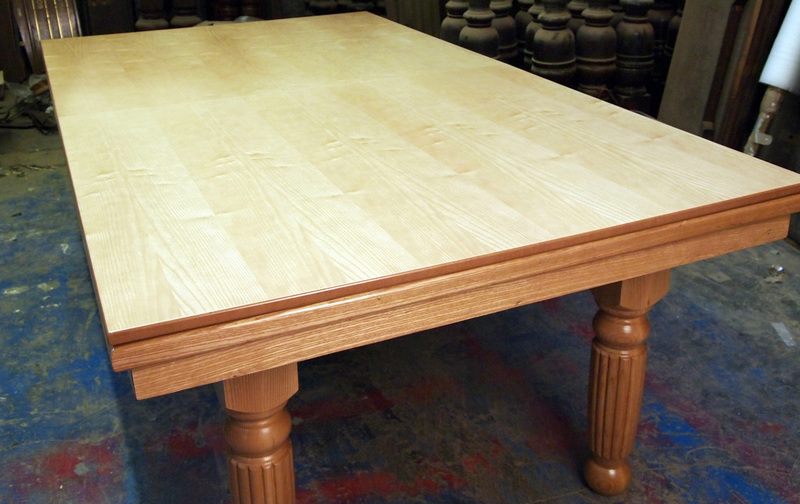 *Solid 18mm oak ash or mahogany beading can be fitted around the top if required. One piece 3/4" solid italian slate bed. Both cushions and bed covered in Hainsworth Smart 100% pure wool napped cloth with any cloth colour from swatch below. 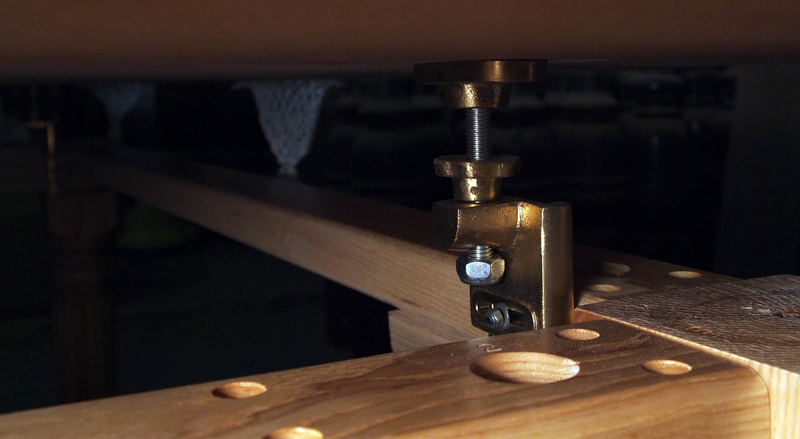 Solid Brass rise and fall mechanism on the 6ft & 7ft models. This rise and fall takes the table from a standard dining height of 29.5" to playing height 32.5". 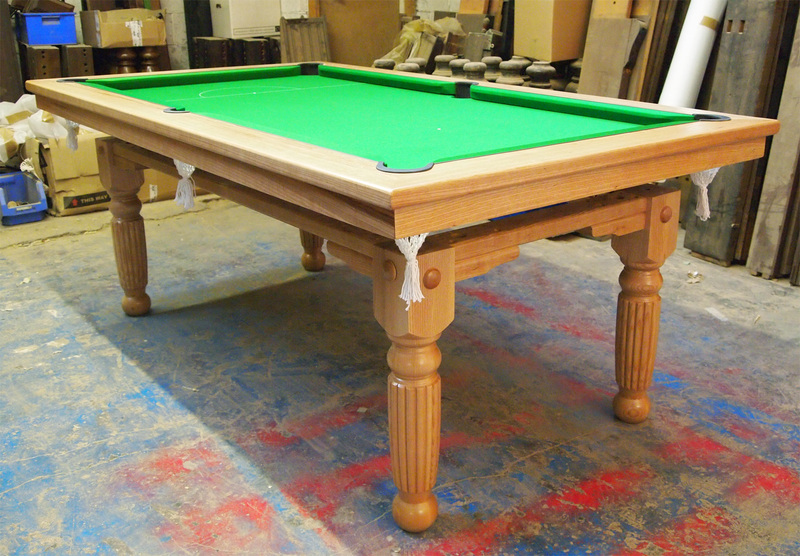 Table supplied with all accessories for two persons to play a game of pool, e.g two pool cues, set of pool balls, triangle, cue rest and chalk. 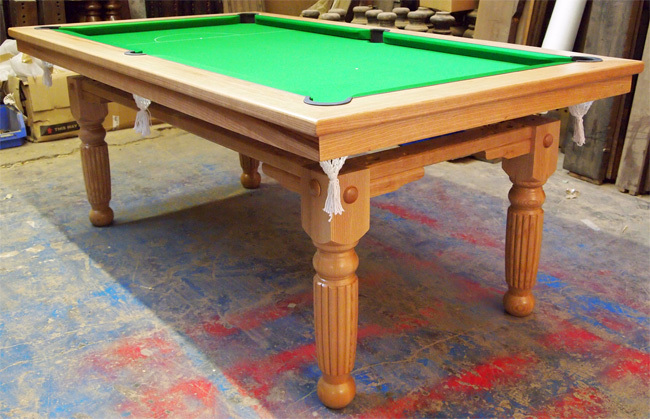 *This table can also be marked out for snooker and a set of snooker balls can be ordered extra as are shorter cues if required. *Matching solid oak benches can also be made to order. 8ft table outside dimensions are 95" inches x 53.5" inches. Inside playing area 83" inches x 41.5" inches. 8ft models supplied without rise and fall mechanism due to their weight and are made 1.5" inches higher than a normal dining table and 1.5" lower than the standard playing height. This gives slightly more leg room. Most people wouldn't notice but its worth mentioning. 7ft table outside dimensions are 84" inches x 48" inches. Inside playing area 72"inches x 38"inches. Playing height 32.5"inches dining height 29.5"inches. Leg room, floor to underside of bottom rail is 24". 6ft Outside dimensions are 72"inches x 42"inches. Inside playing area 60"inches x 32"inches. Playing height 32.5"inches playing height 29.5"inches dining height. Leg room, floor to underside of bottom rail is 24". Lead time is usually between 4 - 6 weeks. We sell direct from the factory and don't have a showroom, this is reflected in our prices, however you are welcome to visit the workshop and see production for yourself. Call or email to arrange using the details below. 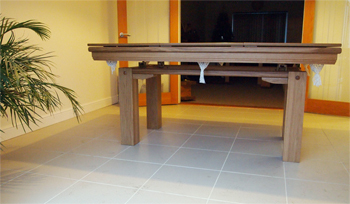 We are not a high volume manufacturer with most of our tables made to our customers special instructions. ( we do things the old way ) To place an order a 20% deposit is required either by cheque or bank transfer. 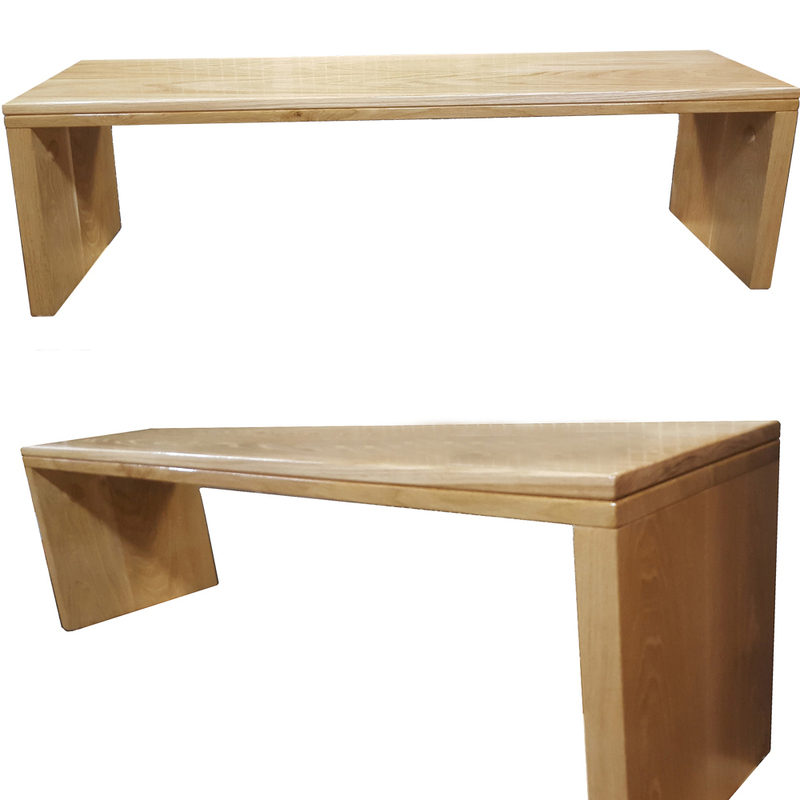 *Solid oak benches for £275 each or £475 Pair. 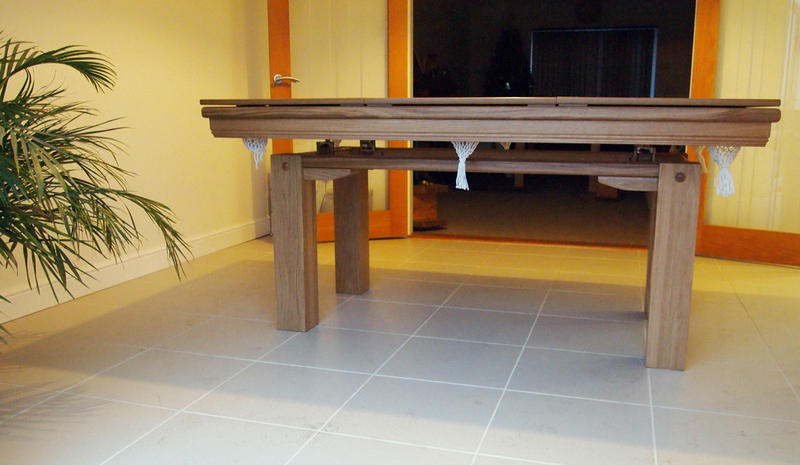 This Artisan made Pool Dining Table is fully handmade in Accrington, Lancashire by ex Riley employees.